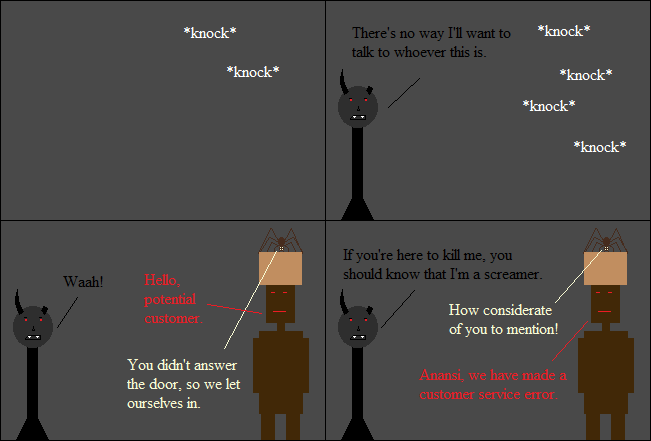 Inspired By True Events - Costumer Service Golem did not take into account the fact that breaking into someone’s house might be unsettling. Costumer Service Golem did not take into account the fact that breaking into someone’s house might be unsettling. Oryx was going to take a day for himself, imaginary readers. That’s straight-up out the window now.